Indian Air Force chief Air Chief Marshal Birender Singh Dhanoa Speaking to the local media in the national capital re-confirmed that IAF is looking to induct over 200 Mark-2 development of Countries LCA-Tejas program which is over 83 Tejas Mk.1A and 40 Mk.1 making composition of IAF fighter fleet inventory somewhere close to 40% with Indian made fighter aircraft in near future. Dhanoa said that Mk.2 which will come with a more powerful engine and new avionics package and with upgraded fuel and weapons carrying capacity will see induction of 12 Squadrons into IAF when aircraft is ready for induction somewhere in the middle of next decade. 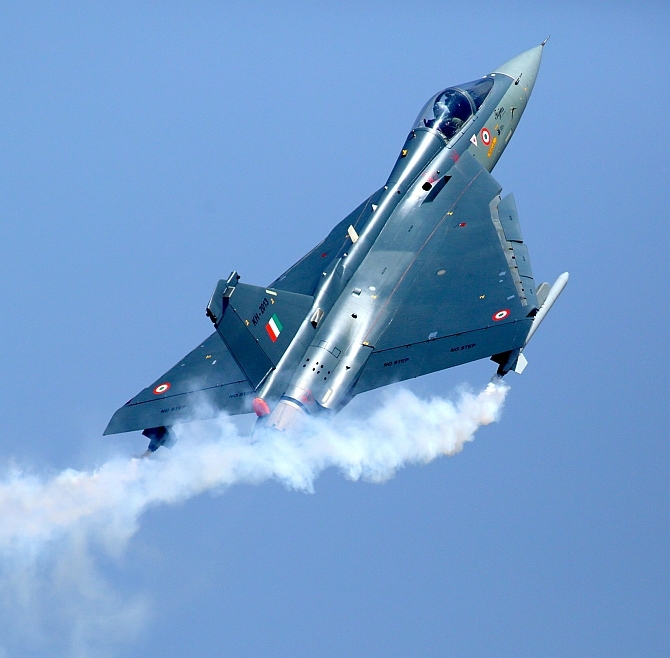 IAF and ADA have already decided to go for a further enhanced capabilities for the Mk.2 over the initial capabilities discussed earlier which now will see aircraft being moved to Medium-weight Category from Light-weight Category which means Mk.2 will go on to replace all current Medium-Multi role fighter aircrafts like Jaguars, Mig-29 and Mirage-2000s from IAF’s current fleet of fighters when fully inducted. According to industrial sources, close to idrw.org new improved Mk.2 design is likely to be showcased at next year Aero India 2019 which is likely to be held in the month of February in Bengaluru. Most of the specification in terms of Avionics and Mission Control Computers have already been finalized and Ge’s F-414IN engine has already started arriving in India and will be used on initial Mk.2 pre-production aircraft.